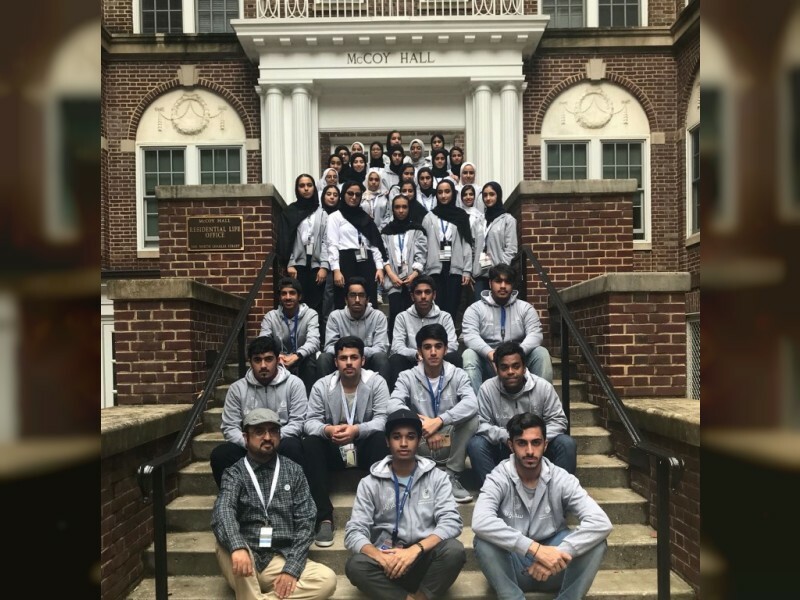 DUBAI, 2nd August, 2018 (WAM) -- The students participating in the "Ambassadors of the Future" programme, have visited prestigious universities in the United States and Singapore, to get firsthand knowledge of their academic performance, specialisations, and future-oriented plans. The students, who are part of "Our Ambassadors 2018 Programme" that was launched by the Ministry of Education, learnt about these institutions and their innovation methodologies. Their visit included Harvard University, the University of Alabama, Embry-Riddle Aeronautical University and Johns Hopkins University, which specialise in science, as well as the National University of Singapore. These universities are also influential to the future of modern sciences. During their visits, the programme’s 200 students participated in special sessions on various topics, which include innovation and modern sciences, such as programming, environmental challenges, space sciences, academic writing skills, and special sessions in the English language. The students also gained skills in leadership and community building and experienced the nature of university life, including its opportunities and challenges. They also visited the NASA Space History Centre, which includes the launching pad of the first US space shuttle. Amal Al Jasmi, Director of Academic and Career Counselling at the Ministry of Education, said that the programme enables students to experience university life in some of the world’s leading universities while pointing out that the programme is the best way of preparing them for the future and enabling them to learn about modern academic requirements and the means of attaining them. The programme aims to enrich the experience of Emirati school students and provide them with key skills and knowledge, to help reach the ministry’s goal of creating future generations who can master the skills of the 21st century and are armed with unique and diverse experience.